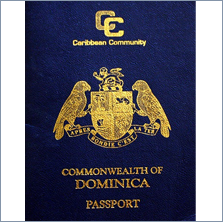 Economic citizenship programs of Dominica and St Kitts provides an avenue for individuals who were not born on these islands, or have no paternal or maternal relatives and are not married to citizens of the mentioned countries to become citizens. The economic citizenship programs are totally legal programs which are regulated by update legislation. The economic citizenship programs of Dominica and St Kitts have different options available to investors and the application process is not time consuming as long as all the requirements are met and the process is followed carefully. The approved investment is not paid until the government has issued a letter to the applicant and the necessary instructions have been given. Families with more than two children will pay additional investment and processing fees for each child. 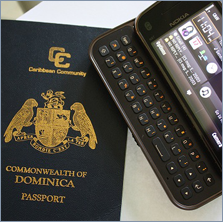 The process for applying for Dominica economic citizenship involves completing application forms for all applicants as well as submitting the following documents: bank references, personal references, police certificate of character ( for applicants above 16), professional reference, marriage or divorce certificate, declaration of source of funds, copies of diploma, medical certificates. In addition to making an investment there are additional fees directly related to the second citizenship process. St Kitts economic citizenship program comprises of two options: the real estate option and the Sugar Industry Diversification Foundation (SIDF) option. The real estate option invlolves making an investment into a real state development project. The investment must be US$ 400,000 and cannot be sold before five years. This does amount does not include due diligence fees, processing fees and additional registrations fees paid for each dependent on the application form. The economic citizenship programs of Dominica and St Kitts have mandatory due diligence research carried out on all applicants above the age of sixteen. All application for economic citizenship is handled by agents licensed by the government of the respective countries. 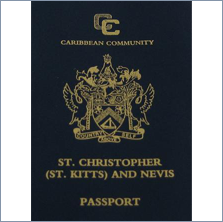 The application process can take up to twelve (12) weeks to complete and once citizenship has been granted the applicant (s) can begin the process of applying for a passport of Dominica or St Kitts. There are many advantages of second citizenship are many; visa free travel to a number of countries around the world, avoid taxes since these countries are tax havens and many other benefits.